Oats are often described as the ideal fuel for runners. Unlike processed cereals or white breads, the carbohydrates in oats are complex carbohydrates. Complex carbohydrates are slower to digest, which prevents a sugar crash, and they contain more fiber and nutrients than simple, oftentimes processed, carbohydrates. But what if you find a bowl of porridge in the morning bland or hard to stomach? Or, what if you are looking for something to snack on, post-workout, later in the day? 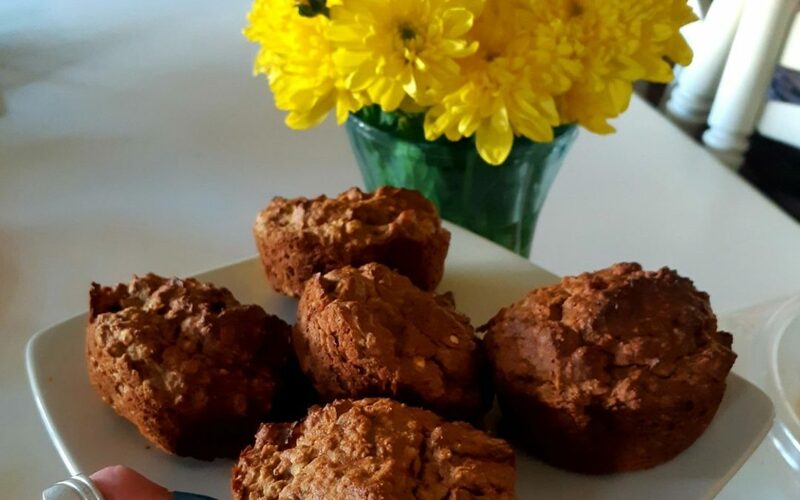 Run in the Dark‘s nutrition parter Tina has whipped up these great oat and avocado muffins so you can get all the benefits of oats in a tasty snack that you can have anytime! In a Blender blitz the following: bananas, avocado, eggs, cinnamon and vanilla essence. In a big bowl add all other ingredients and mix thoroughly. Add in blended mixture into bowl and mix well. The mix should be slightly runny. Line muffin tray with muffins cases or alternatively line tray with butter (this will prevent muffins sticking to the edges when baked). Bake in oven to 200 degrees celsius / gas-mark 6 for 45 mins or until golden brown.